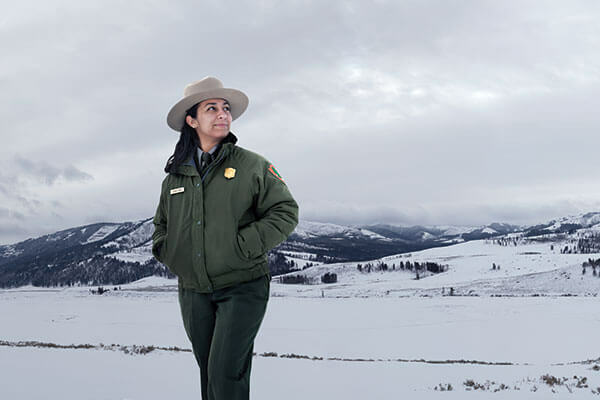 As an interpretive park ranger at Yellowstone National Park, Lianna Duran (B.A. ’11) gives educational tours and shows visitors the majesty of a natural environment that is home to countless animals, plants and natural resources. “There’s a rich history that’s existed here before modern man,” Duran said of the 2.2 million-acre park known for its wildlife and geothermal features such as the geyser Old Faithful. Within each mile of the park, the geology changes, and Duran meets with thousands of visitors from around the world each year to teach them how to be good stewards of the land while they visit Yellowstone. What’s your passion? Find a major or minor that’s right for you.